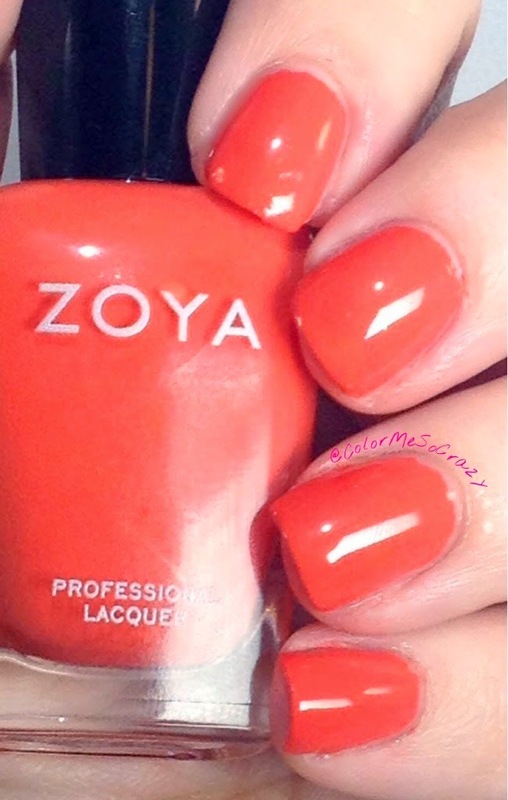 This color is described by Zoya as a classic folly red cream with warm undertones that enhance a summer glow! I love this color. It's kind of a like a dark coral/orgaish lean. It was smooth and opaque after 2 coats. 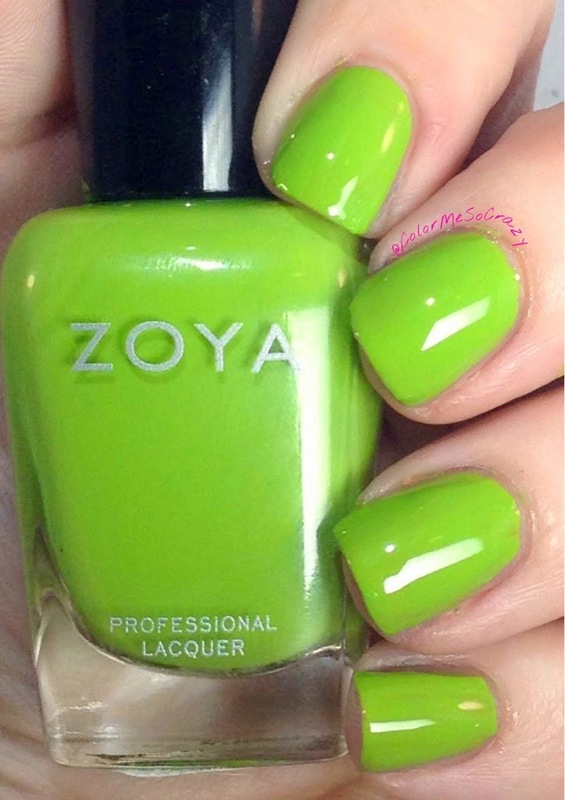 Wendy is described by Zoya as a juicy summer melon, deep enough to flatter a tan but bright enough to stand out! I really like this for my "coralish" collection. I have a couple shirts like this and it definitely shows off a tan. This was opaque in 1 coat, but I used 2 to cover some of the bare spots. 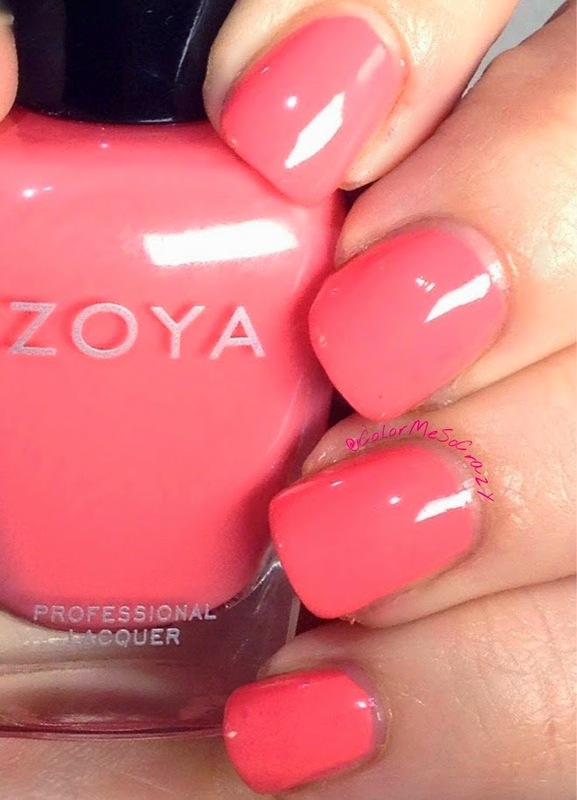 can be best described by Zoya as a classic summer bubblegum pink cream. This universally flattering (evenly balanced between cool & warm) has enough white to make it pop against a tan! 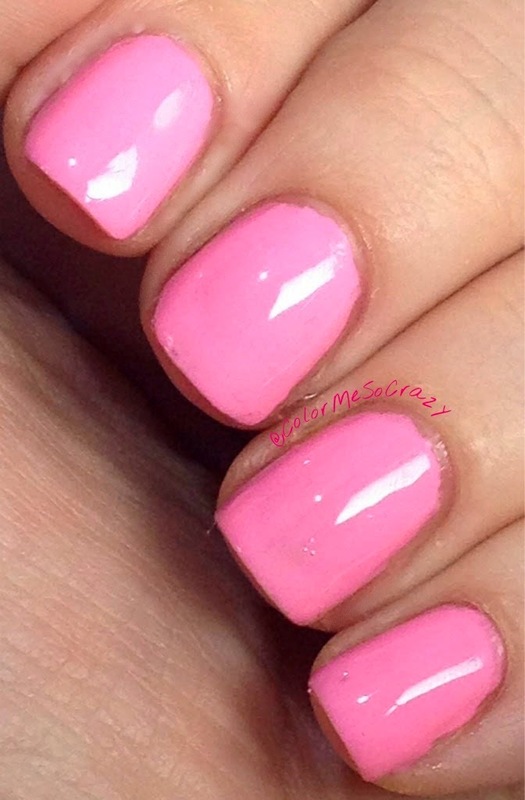 can be best described as a mid-range magenta pink cream with balanced undertones to flatter most skin tones. I am pretty sure this is my favorite from the entire collection. 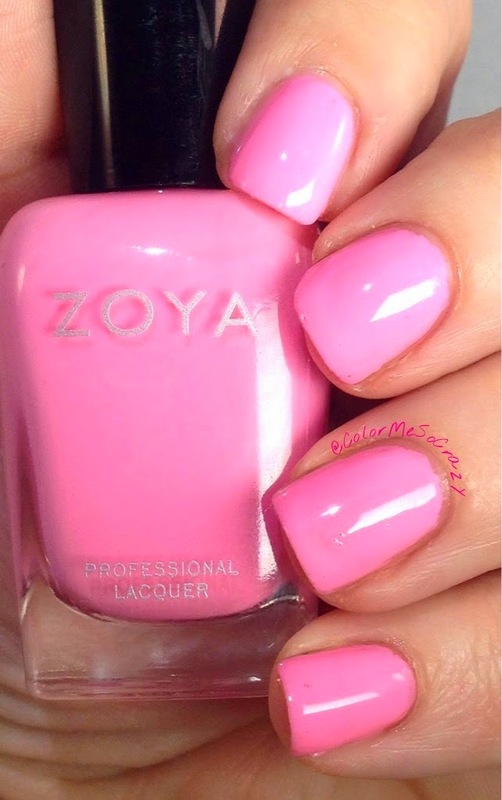 It is the perfect summer pink. Not too hot and not too pastel. I used 2 coats on this for a smooth finish. 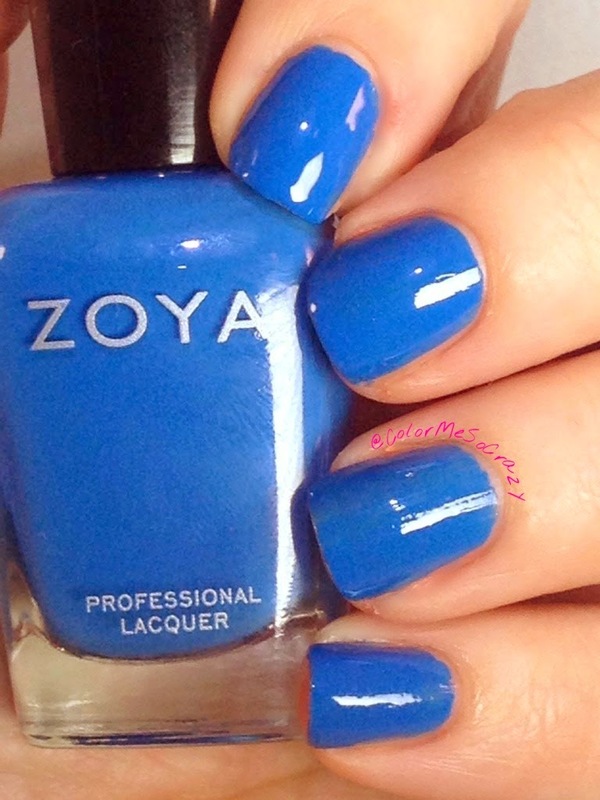 Zoya describes this as a vibrant royal blue cream that is evenly balanced to flatter most skin tones. 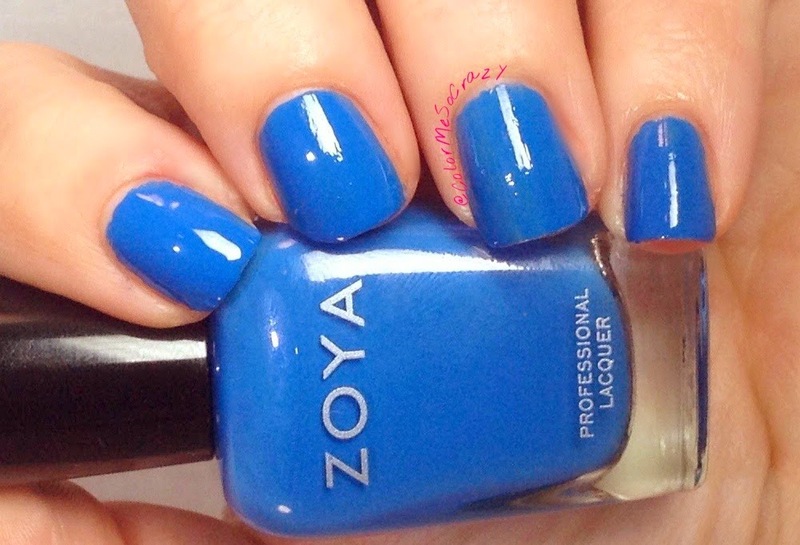 This is a very pretty royal blue. 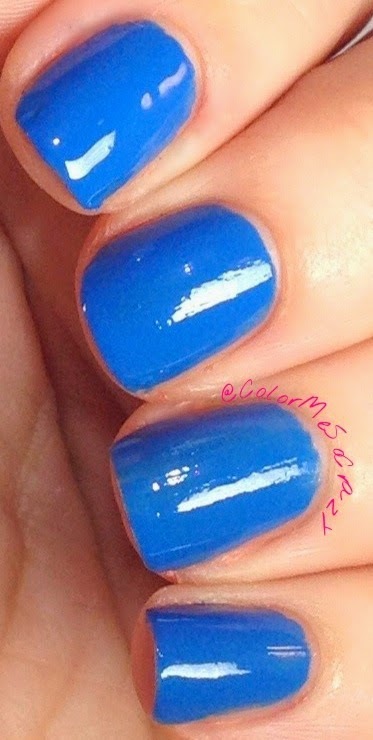 I was in search for the perfect summer blue- and here it is!! I used 2 coats for this to create a smooth finish. 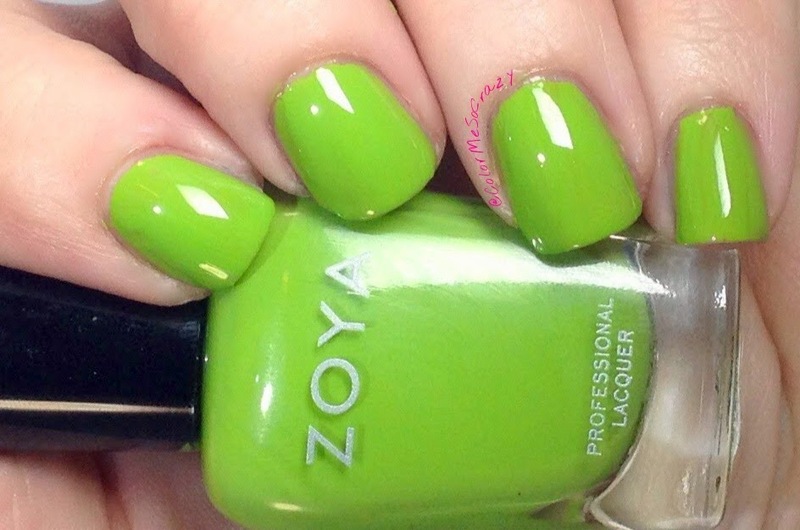 Zoya describes this as a warm mantis green cream that is a great alternative to a summer lime. I usually HATE the way greens look on my skin. Tilda is THE exception. It is such a smooth, non-yellow green, that it looks awesome. I have 2 coats on for smoothness. 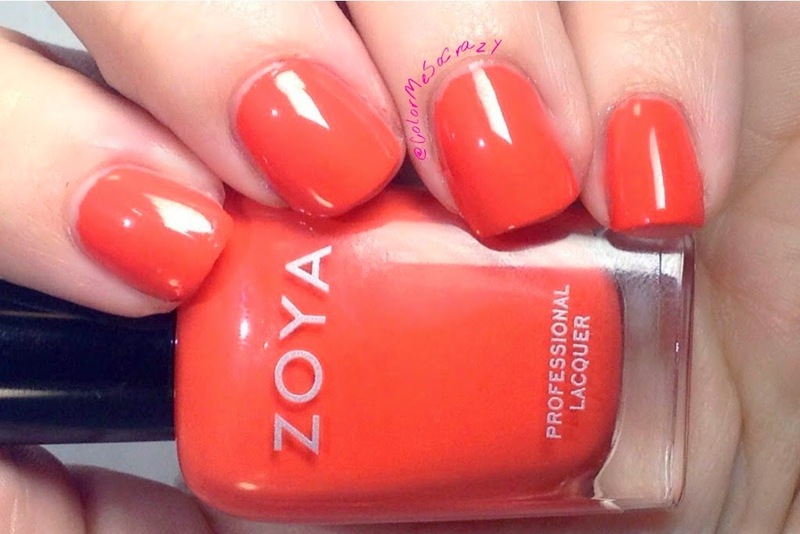 Zoya describes Rooney as a mid-range magenta pink cream with balanced undertones to flatter most skin tones.This color is more of a hotter version of Kitridge. It is brighter and more "hot pink". 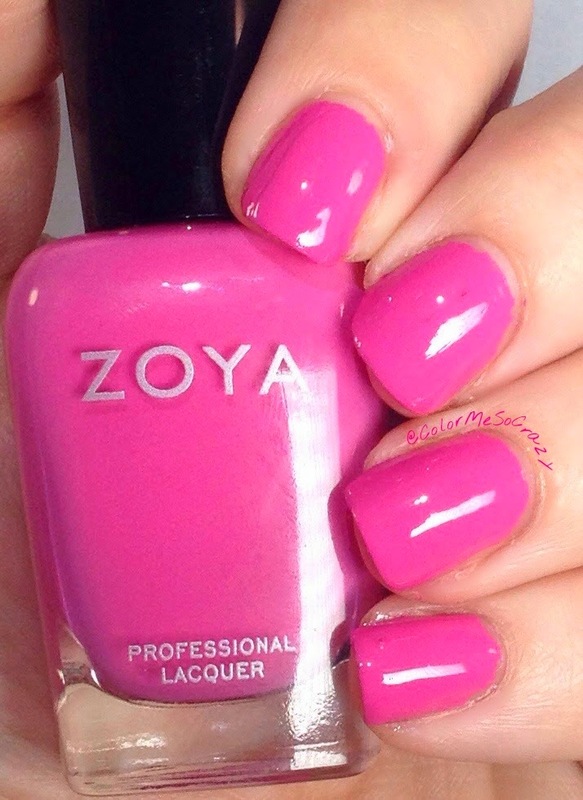 This is a great summer pink. I used 2 coats to smooth out the care spots.